For downloadable photos and shorter biographies appropriate for media, please see our Press Kit page. A cutting-edge researcher, Ken has studied with many pioneers in the sciences and natural health movement, including Gabriel Cousens, Brianand Anna Maria Clement, Viktoras Kulvinskas, David Wolfe, Brenda Cobb, Herbs of Light founder, Dean Martens; Dr. Robert Morse, Dr. Michael Epitropoulos, Linda Sheer, and many others. 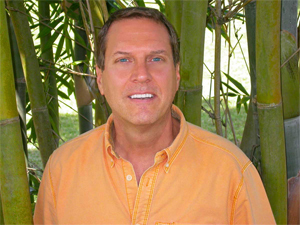 In 2005, Ken became certified as a natural health educator by Hippocrates Health Institute in West Palm Beach, Florida, and has been a guest lecturer there. Ken has been honored to work with Coretta Scott King, wife of the late Dr. Martin Luther King, Jr. Currently Ken's focus is developing natural solutions for the new severe threats to our health, including nuclear radiation, chemtrails, genetically modified foods and microorganisms, electromagnetic pollution, nanotechnology, biowarfare agents, depleted food, and other issues. Much success on your health journey!